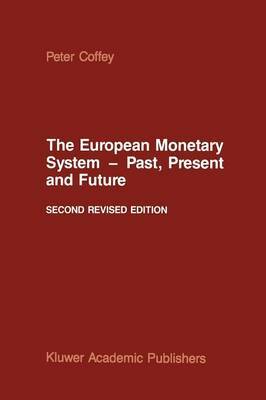 The European M::metary System (EMS) is perhaps the only success story of the Common Market since the First Enlargement. Its success, particul- arly where the comnercial use of the ECU is concerned, has taken rrost experts by surprise. So much so, that when the author tried to recommend to his students a suitable and substantial work of study and/or reference about the experience of the EMS and its possible future evolution --- no book could be found. Thus, the author set out to write the present work. The author's aim is not to give a historical account of the EHS. Rather, the intention is to place the experience in a major historical context wherein the System is seen an important transitional phase on the road to the implementation of a full economic and rronetary union (EMU) * When examining the earlier plans for an EMU which saw the light of day between 1969 and 1970 (already so long ago!) clear reasons emerge why the original six founder Member States of the EEC should have found it logical to embark upon the road to an El'1U - "p=vided the political will to do so existed". Thus, they had become highly integrated and were conducting half their trade with each other. Then, there was the desire to integrate still further ---- eventually leading (perhaps) to a political union.